When I mentioned to a friend that I was going to be grilling Flat Back Chicken she looked at my kind of strange and wondered what I was talking about. So I decided this would definitely be a video and recipe I needed to share with all of you. Thawing this week I grabbed a whole chicken from Shopease Foods to use to lay flat on my bbq grill with a rub we love to use. 1. Cut back bone out of chicken so the chicken can lay flat on the grill. 3. Light up your bbq grill so that it is at approximately 350*. 4. Grill chicken breast side down for about 5 to 10 minutes to get grill marks on the chicken then turn over and cook for about 35 to 45 minutes on the other side. 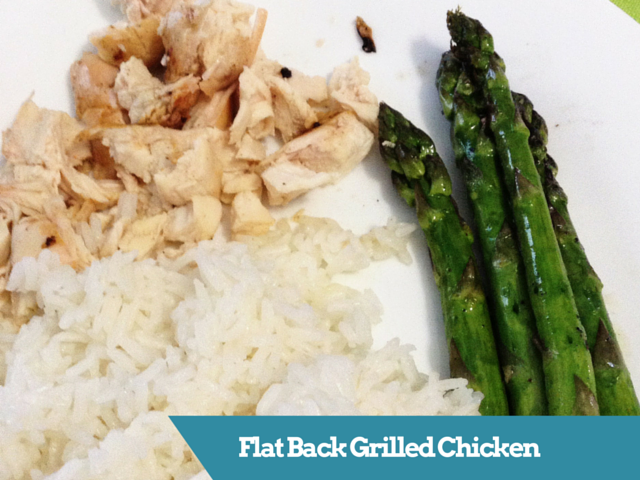 Have you ever done a flat back chicken on the grill? I find that it cooks more evenly when we put the whole chicken on the grill as a flat back.